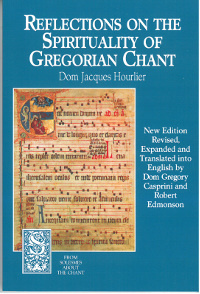 Published posthumously, this book is a collection of five lectures given during one of dom Hourlier's youth seminars on Gregorian chant. It also includes two chapters on musical and liturgical spirituality taken from his notes. A riveting work, it reflects on the characteristics of Gregorian chant that have attracted the attention of so many: its permanence, beauty and history, as well as its liturgical, sacred and philosophical qualities.